btw, I’m putting this challenge up on the NABT BioBlog at the same time—I want to see who figures this out first–the KABTer’s or the NABTer’s……challenge on. Nicely done but I think you’ll want to look over the ants a bit more—check out those gasters in the top ants in the top image…..that’s a hint. I was looking up the Genus but Harry beat me. 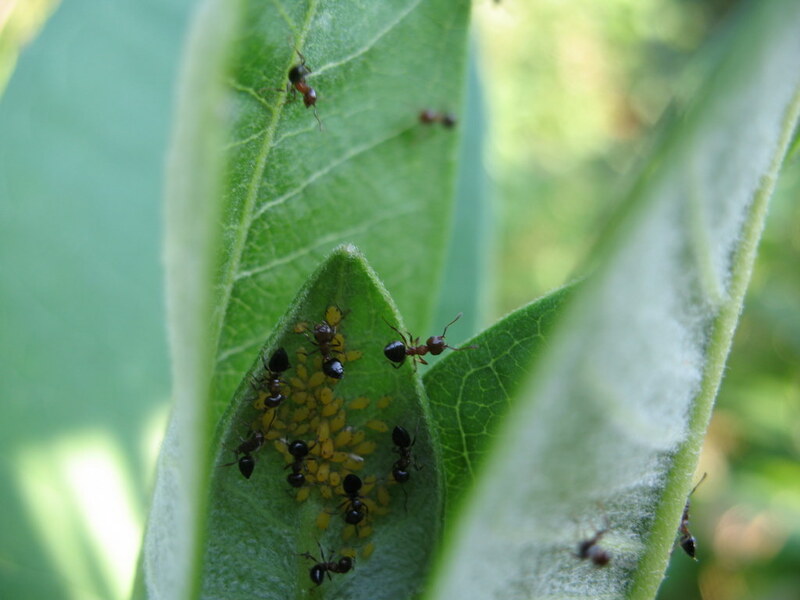 I have seen the aphids on the milkweed but never the interaction between the ants and the aphids on milkweed. 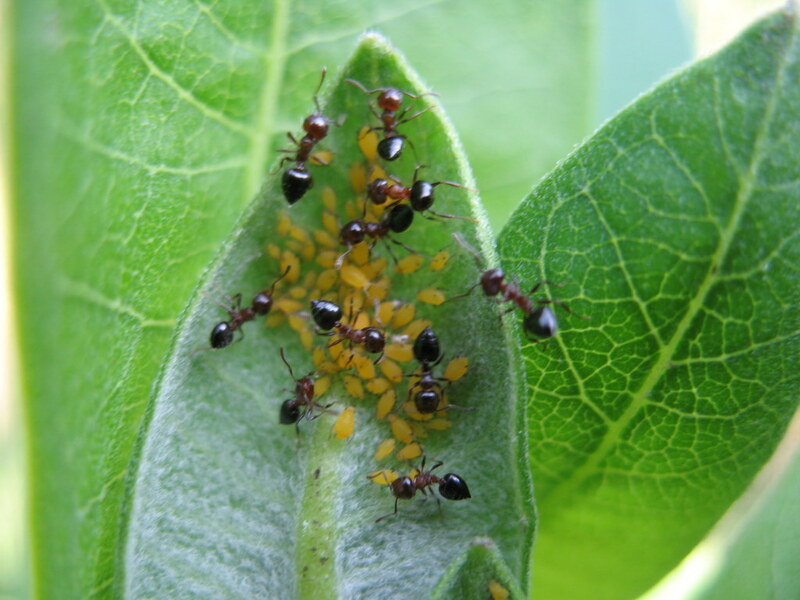 I read that the ants remove the aphids infected by a type of fungus so they can continue feeding on their honeydew. Wow….that was fast—-about as fast as Kim Foglia was on the NABT BioBlog….you both posted in less than 45 minutes after the posting.–actually Kim sent me an email wanting to know if she should post.